Ruby red in colour there is a ripe red & dark fruits taste with some sweet vanilla and spicy hints. Silky on the palate, followed by long lasting finish. 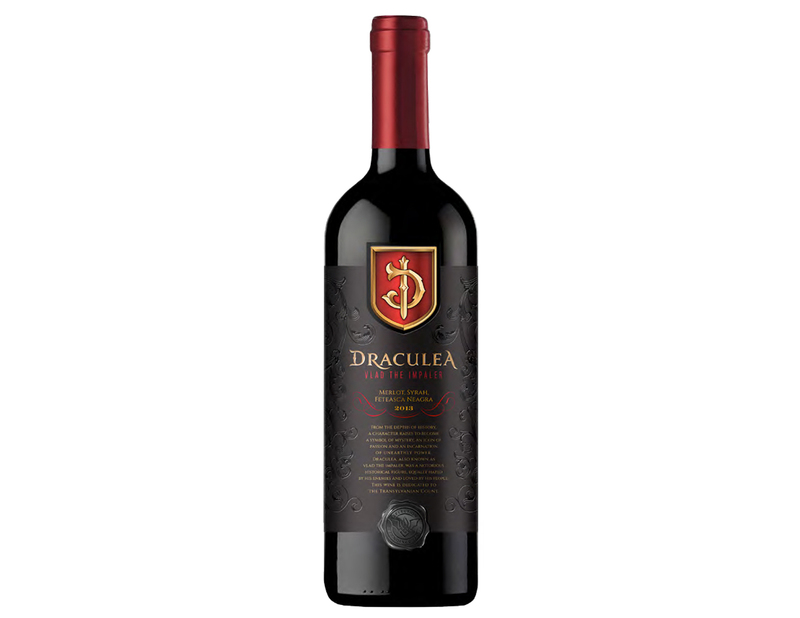 The wine is prepared entirely from grapes of Merlot, Syrah and Feteasca Neagra, varieties coming from the company’s own vineyards located in Sahateni (Dealu Mare, region) – Romania, the seventh largest country producer of grapes in the world. Sahateni vineyards are located in the middle of the Dealu Mare wine area domains, well known for the quality of the grapes and the under vines production, on the surrounding hills of the Carpathian Mountains which benefit from the bruno-silty soils, with a limestone bedrock and temperate – continental climate. Oak aged for 12 months in West Romanian oak barrique. Ripe red & dark fruits taste, completed by some sweet vanilla and spicy hints; mild tannins are well integrated into the firm but elegant structure; silky on the palate, followed by long lasting finish. Food match: Spicy foods, Roast Duck & Turkey, Spicy Italian Sausages.